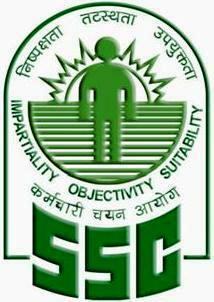 Staff selection commission SSC for north western region (Chandigarh) SSCNWR issued a recruitment notification to fill various vacancies and details information is available on the commission website http://www.sscnwr.org. Interested candidates can read the details given below and know more about the eligibility, criteria, experience, age, how to apply etc. The pay scale is different for different positions. Please download and read the advertisement documentation given in the last. Application Fees: Rs. 50/- for Unreserved categories. No fees for reserved category candidates – SC, ST, OBC, Female, Ex-Serviceman, Physically Handicapped etc. All the interested and eligible candidates can apply for various position recruiting under this ssc recruitment 2014 for north western region. Please download the official recruitment advertisement given below and read it completely to know more about the recruitment process, syllabus, exam schedule, interview schedule for qualified candidate, age limit, how to pay application fees etc.